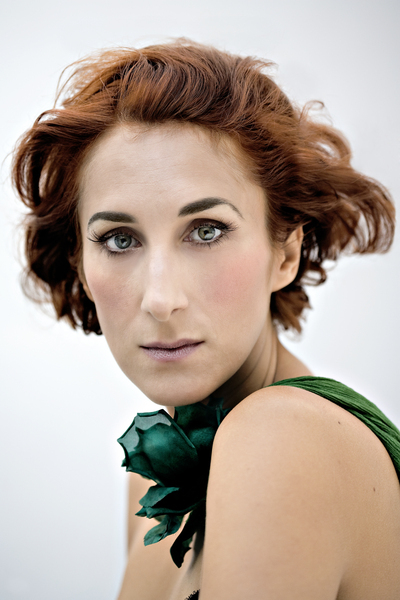 I had originally scheduled a review of Tubéreuse for the end of next week, but in light of the recent events I thought it would be fitting to reschedule it and include it here, as a tribute to Mona di Orio’s extraordinary talent. Tubéreuse is part of the Les Nombres d’Or (The Golden Numbers) collection which refers to the golden ratio, a mathematical theory of proportion that is showcased in the collection via fragrances centred around a single note, masterfully accentuated by other ingredients. The collection currently consists of seven fragrances; Oud, Musc, Tubéreuse, Vanille, Cuir, Vétyver and Ambre. I adore tuberose, it is possibly my all time favourite note in perfumery, there is a raw carnality to it, a sense of danger, of lust and of forbidden encounters. In most of the classic tuberose fragrances the perfumer has amped up the carnal nature of the flower, but Mona di Orio, who’s line of perfumes does things a little bit differently, has tamed this Queen of white flowers. Tubéreuse starts fresh, green and hugely peppery. Now, whenever I see ‘Pink Peppercorn’ in a notes list I tend to roll my eyes, it really does seem to be the note du jour, and I find it’s over-exposure quite tiring. The difference between the use of pink peppercorn in mainstream fragrances and in Tubéreuse is astounding, here the pepper is used to spice up the green stems and the white petals, and it works. A touch of bergamot is used to lighten up the top notes, and combined with the pepper the effect is natural, fresh and almost botanical. Within the heart the green notes are accentuated by the addition of a of a strong jasmine note which, continuing the theme initiated by the pepper, adds a floral spice that keeps the idea of ‘green stems’ running throughout the heart. Jasmine and tuberose are two flowers that go exceedingly well together; the green, spicy quality of the former tones down the hot, sweet quality of the latter. Together the two white flowers create a fresh, yet indolic aura that surrounds the wearer, with flashes of sweet, almond-like heliotrope. In the base the white florals do what white florals do best, they become creamy, earthy and sweet. Benzoin and a clean musk give the base a soft, fuzzy texture and along with the creamy, indolic nature of the white florals, this fragrance becomes absolutely glorious and one cannot help but bask in its beautiful light. Tubéreuse is a very solid composition, I would say that it is incredibly pretty, and I don’t mean that in a derogatory way at all. I am surprised to find myself liking Mona di Orio’s fresh, lighter take on tuberose, I usually opt for the raunchier tuberoses, but this one succeeds where L’Artisan Parfumeur failed with Nuit de Tubéreuse, it is a fresh, lighter tuberose that still retains the signature of my favourite white flower. 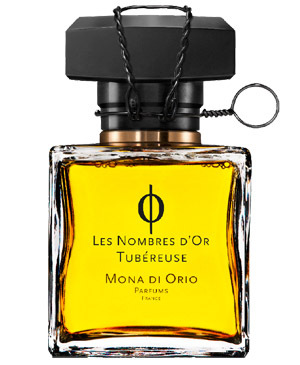 Like each of the perfumes with the Les N’Ombres d’Or collection, Tubéreuse showcases Mona di Orio’s talent for creating a fragrant essay on established genres and how she could bring new and exciting ideas to the table. Those who are not keen on tuberose as a note should really give Tubéreuse a try, it is tuberose viewed from a completely different angle and whilst being lighter, fresher and greener it does remain recognisably ‘tuberose’. Tubéreuse is a wonderfully radiant floral and I have chosen to add it to The Candy Perfume Boy’s Guide to Tuberose as ‘The Radiant Tuberose’. Tubéreuse is part of the Les Nombres d’Or collection and is available in 100ml Eau de Parfum for £145. This review is based on a sample generously provided by Ines of All I Am – A Redhead, thanks Ines! Posted in Floral, Mona di Orio, Perfume Reviews and tagged Floral, Les Nombres d'Or, Mona di Orio, Tribute, Tubéreuse, Tuberose. Bookmark the permalink. It is a beautiful scent, and Tubereuse is the first and only full bottle I own in the tuberose genre. I do believe that Tubéreuse is a tuberose that can change a person’s mind about the flower without losing the ‘tuberose signature’, beautiful stuff indeed. I’ve been reading about Mona di Orio’s perfumes for a long time now, and although I was as shocked as everyone else to read of her untimely death, since I wasn’t in any position to say anything, I chose to stay quiet. Tuberose is one of my favorite flower notes too, right up there with jasmine sambac, so when you say the words ‘green’ and ‘tuberose’, I’m mightily intrigued! It’s very difficult to know what to say in situations such as this, especially when you did not know the person in question. You should be intrigued! Whilst Tubéreuse isn’t a typical tuberose, it really is something special. A beautiful review and fitting tribute! I absolutely need to hurry up and try out this line; I’m saddened that I didn’t do so before her passing. You do need to try them, I haven’t come across a bad one yet. Oud absolutely floored me, Musc made me like a baby-powder musc and Tubéreuse is such a lovely, unique take on tuberose it simply has to be tried. Your review of “The Radiant One” is a fitting tribute. It does appear that Mona was able to bring something new and interesting to genres we thought we had pegged. It’s good to hear that you recommend this to people who – like me – who often have issues with the note. I very much hope to try all her fragrances somne time soon. That’s what I really enjoy about the Les Nombres d’Or, they don’t focus on the note within their name, they offer an individual take and really are worth trying. How sad to hear of Mona’s passing. Your review was a lovely tribute and Tubereuse sounds like a gorgeous scent. Tuberose is definitely one of my favorite notes (in all forms, both light and heady!) so i will add this to my list of perfumes to try. It sounds like Tubéreuse will be right up your street! Your review really tempts me to try this one, it sounds perfect for me who is a bit wary of tuberose. I’m wearing MdO Oud today, the first time I tried it I was a bit scared, oud-novice that I am, but now I think it’s lovely, especially once it has settled down on my skin. MdO Vanille is wonderful and for once the back-story seems very fitting, I’m tempted to get a FB. Thank you for a lovely review and tribute! Tubéreuse is perfect for those who are wary of tuberose as a note, it really is lovely! I adore Oud, like the others in the line it’s such an unusual take on the note and it’s definitely my favourite oud fragrance. It’s such a shame that it is so prohibitively expensive! I ,too liked this MdO perfume, but I prefer the ‘raunchier’ tuberose fragrances. I adored Vanille and Oud, though and did buy Vanille (based on the lower cost). I think her Les Nombre d’Or collection is wonderful. Oud is wonderful isn’t it?! I’m testing Vanille at the moment, it’s definitely an interesting vanilla. I agree that the Les Nombres d’Or collection is wonderful!